At the end of a private drive, set in a glen sits a 2250 sq. 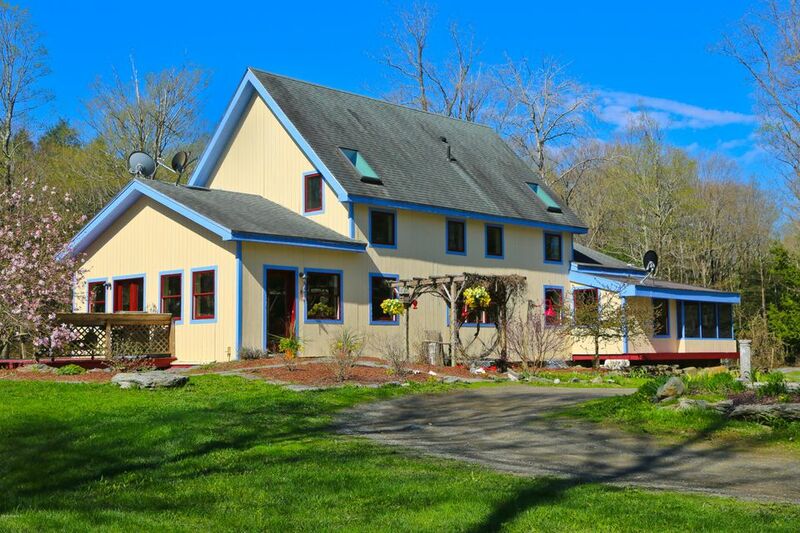 ft. Vermont post and beam home set on 27 acres.This charming and whimsical property has 3 bedrooms, 3 baths, open kitchen /dining area, living room with stone fireplace. Warm wood flooring and exposed beams. High ceilings and glass walls make this a magical home. Distant views, walking paths, out buildings for storage and Chicken coop. A perfect hideaway!